Nalyvaychenko contacted Trump's aides in January. The former head of the Security Service of Ukraine (SBU) and the leader of the movement Solidarity, Valentyn Nalyvaychenko, confirmed the handover of documents, allegedly indicating the involvement of President Petro Poroshenko in corruption over to the US Department of Justice. He said this at a news conference in Gorshenin Institute on 20 February, commenting on an earlier statement by the MP Andriy Artemenko about receiving allegedly compromising information on Poroshenko from Nalyvaychenko. 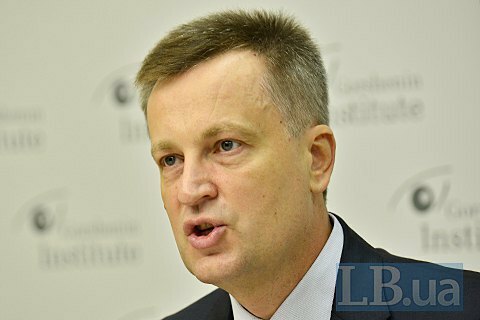 The former SBU head said that he was in Washington in January, where he had talks with the members of Donald Trump's transition administration. Nalyvaychenko said some members of Trump's entourage believe that the beneficiaries of offshore companies involved in the siphoning of cash from Ukraine should be disclosed. According to him, each offshore money transfer is being closely scrutinized. At the same time, the former SBU chief denied any knowledge of "Artemenko's plan". The New York Times reported on 19 February that Andriy Artemenko handed the White House a plan for the normalization of relations with Russia and some "compromising materials" concerning Poroshenko, reportedly including the wire transfers of Poroshenko and his entourage. Artemenko's peace plan provides for the withdrawal of Russian troops from eastern Ukraine and a nationwide Ukrainian referendum on whether Crimea should be leased to Russia for a term of 50 or 100 years. Artemenko said he had received encouragement for his plans from top aides to Mr. Putin.